Sprouts are truly the ultimate food! Packed full of enzymes, protein, fiber and vitamins, they are an extremely healthy addition to your diet. There' is simply no reason not to add them to your gardening list. 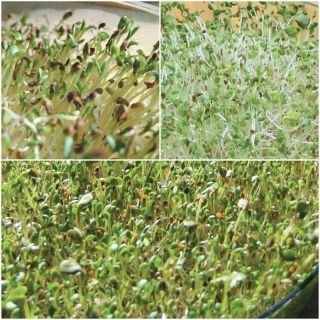 Growing your own sprouts is also a great way to get your gardening fix throughout the cold days of winter. Easy to grow in mason jars or in one of our handy sprouting kits. Best of all, all of our sprouting seeds are certified organic!